WATCH Sessions Available on DVD and via webcasts! Wake County Preschool Services is now officially connected to the WATCH Network. unit is located at the administration office off New Bern Avenue. Having a unit within the Preschool Services Agency can serve as a tool to improve the transition for a child and family from Early Intervention Services to the School System, increase care coordination for children, and will allow Preschool Services staff access to all of the WATCH Professional Development sessions. We are excited about the many potential benefits and collaborative interactions this resource will provide to children, families and professionals. WATCH Members used the videoconference units in a variety of ways in October and November. Five WATCH video-conference sessions were held. Three of these sessions were educational events, one was a clinical consult between Dr. Alexander and an OTR/L at Pediatric Therapy Associates, and one was a networking discussion between WATCH therapists and therapists in Wilmington on the uses of Theratogs (see related article). 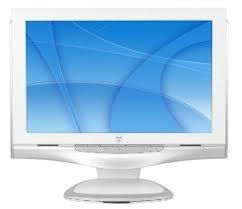 Ninety-four people participated in these videoconference sessions. Evaluations show the average satisfaction and comfort level for all participants rated a 4.8 out of 5.0. Is your service or agency listed in the Wake County Services and Resources for Children Birth-Five Webpage? The webpage, located on the TelAbility website, was an idea initiated through the Wake County LICC and made possible through funds from Smart Start. The webpage is a searchable data base directory that allows someone to select specific fields (ie: PT, OT, playgroups, etc.) to find the services they need for young children. Agencies with services that match those field are sorted and listed, providing a comprehensive overview of that program. Agencies are asked to pay a one time, $25 registration fee and attend an orientation session in order to be listed. Currently there are 25 programs included in the webpage. In order for this to be a comprehesive resource for the county we want your agency included and we need you to spread the word to parents and providers. Contact Juliellen at jsimpvos@med.unc.edu to obtain an enrollment form or find out more about the webpage directory. for an inclusive holiday fundraiser. The evening will include a visit with Santa, holiday craft making and cookie decorating. The event is for children 12 and under of all abilities. The cost is $10.00 per child. All proceeds will go to help the children at the Easter Seals UCP Charlie Gaddy Center. Please call 919.773.2020 to RSVP. Easter Seals UCP Charlie Gaddy Children's Center is in need of an afternoon floater teacher, Monday-Fridays from 2:30-5:45. This position would assist classroom teachers in inclusive preschool serving children 0-5 with or without special needs. Carolina Children's Therapy is currently searching for an SLP for the Clayton clinic. "A Night with Santa" at the Charlie Gaddy Children's Center. Many thanks to the John Rex Endowment for their continued support of the WATCH Program into 2010. Do any of you make New Year's Resolutions? If you do, do you follow through with them? 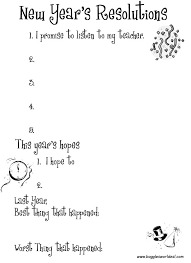 I usually try to make one or two resolutions a year and do my best to keep them. One year my resolution was to always take the stairs instead of the elevator when I can (believe me I curse that resolution whenever I have meetings on the third floor of Project Enlightenment!). Another year it was to read 6 books a year. (I'm on book #5 right now-I better get going!) This past year it was to run a 10k, which I successfully accomplished in November!! I bring this up because a recent article on the role of telemedicine, that I was given by Kevin Cain at the Rex Endowment, made me think of a WATCH New Year's resolution I'd like to challenge you all to make with me. First let me give you an overview of the article and then I'll present the challenge at the end, so read on. The article was published as an Issue's Brief by The Children's Partnership and reported on how the state of California is utilizing telemedicine to help meet the diverse health care needs of children across the state. It reported that telemedicine and telehealth aids providers and families in managing the child's health, reduces the need for more complex and costly health treatments, and can be used to improve health care quality by providing medical education to families and providers. A telemedicine champion-someone in the community or organization committed to building and sustaining the program. This is the person who can articulate the benefits of videoconferencing and works to include it as part of the organization's infrastructure and routines. A telemedicine coordinator-this is the person who makes the infrastructure work and takes care of the details (scheduling, administrative needs, being an on-site facilitator for sessions, etc.) This person has both support and the right resources to ensure videoconferencing is successful at their site. Good technology and support-if the units don't work or seem complicated or intimidating to those using them, they won't get used! Those using the technology must be trained on how to use the units as well as feel confident that problems out of their scope of knowledge will be solved quickly and reliably. The research done for the article showed many benefits to telemedicine. While initial start up costs are expensive, telemedicine not only reduces dollars spent on travel mileage and travel time, it can lead to fewer hospital visits. Data also shows that both patients and providers are consistently highly satisfied with the experience and results of videoconferencing. They believe the care and information to be just as good as in-person interactions and appreciate not having to travel. The challenges to successful telemedicine programs include reimbursement for telemedicine services; providers and medical professionals who are unwilling to adopt the telemedicine model, leaving fewer options for collaboration; and the initial and ongoing costs associated with providing a stable videoconference network. To continue our build off our successes, overcome our barriers, and work to find ways to sustain and grow the program. To meet that challenge, I'd like to ask all of you to resolve to commit to at least one of these small WATCH related activities in the New Year. 1. Attend and participate in a WATCH videoconference professional development session. There's still room in the Music Therapy Session on Friday the 7th, the Chiropractic Session on Friday the 14th, the Speech and Language Delays Session on Friday, January 11th and the Bridging the Social Synapse Session on Friday, February 1st. 2. Consider ways you can incorporate videoconferencing into care coordination for a child on your case load. Could you hold an IFSP or IEP meeting via videoconference unit with all the players on a child's care team? Could a transition meeting be held via videoconference? 3. Think about conducting a videoclinic between a child you are working with, his or her family and Dr. Alexander. Scheduling one is easy,just ask how! As I was at the Croghan Conference on Monday and talked with others from all across the state, I was reminded time and time again how fortunate we are in Wake County to have these resources available to us. We are also fortunate to have such a dedicated group of professionals and families who are committed to enhancing communication and improving the lives of the children for whom you care. My husband's grandfather, whom I greatly admired, often told us "To those whom much is given, much is expected." I think that rings true for all of us involved in WATCH as we enter the New Year. We have these great resources--how can we use them to the best of our abilities for the greatest good? I look forward to seeing what you all commit to! Many blessings and great joy to you all in the New Year! Developmental Therapy Associates (DTA) as the newest member of our collaborative. Developmental Therapy Associates, Inc. was started in 1982 and was the first occupational therapy clinic specializing in sensory integration in North Carolina. DTA is owned and operated by one of the original owners, Linda King-Thomas, MHS, OTR/L. DTA's mission is to provide quality occupational therapy and speech/language therapy to children and adults in order to enhance functioning in their daily life environments in the areas of activities of daily living, education, work, play, leisure, communication, and social participation. DTA utilizes a variety of intervention approaches with an expertise in the sensory integrative framework. DTA provides education and training to staff, parents, students of therapeutic programs and professionals in the community. in the community for 25 years. The experienced staff includes Occupational Therapists and Speech Language Pathologists who provide many cutting-edge techniques, strategies, and programs to address the needs of children who are experiencing challenges with daily living/occupations. The staff has specialized training and certification in Craniosacral Therapy (CST), Therapeutic Listening® (TL®), Brain Gym, Neurodevelopmental Therapy (NDT), Sensory Integration Therapy (SI), Sensory Defensiveness, Interactive Metronome (IM), Cranial Electric Stimulation (CES), Auditory Integration Training (AIT), and Infant Massage. The agency maintains close ties with several universities in the region and participate in both Fieldwork and Research opportunities in the areas of Occupational Therapy and Speech Therapy. The DTA clinics offer a unique environment that supports sensory, social, and motor development. They empower parents and clients in the understanding of their unique sensory differences and help them learn to adapt their environments so that they may maximize their daily function. The staff at Developmental Therapy Associates looks forward to participating in and facilitating WATCH videoconference sessions, engaging in round table discussions with other EI professionals, as well as utilizing and providing a wide range of resources offered through the WATCH Community. By Ellyn Lucas Arwood Ed.D. & Carole Kaulitz, M.Ed. As a therapist who works with many children on the Autistic spectrum I was very interested to read this book by Ellyn Lucas Arwood, Ed. D. & Carole Kaulitz, M.Ed. I am always looking for new ideas on how to approach the increasing number of children referred with Autism Spectrum Disorder (ASD). This book delivers on presenting a new way of approaching children on the spectrum. The overall premise of the book describes how and why individuals with ASD tend to excel at visual learning tasks and then offers intervention strategies that utilize those strengths to teach other necessary skills. They do a decent job of explaining the sensory systems and how they relate to learning. They then take it to the next level by explaining how concepts are formed via the sensory systems. When the sensory system is dysfunctional, information does not get integrated and proper concepts are not formed. Thus everything stays at the perceptual level explaining why children with ASD depend on routines and fixate on favorite activities. The child does not get the same meaning from the sensory input as a typical learner. Arwood & Kaulitz focus on the visual system as a way to help the child bridge the gap between staying at the perceptual level and gaining meaning from the input to form concepts. But they expand on the notion of just using picture symbols to teach children. They suggest creating (drawing) a visual picture in real time while teaching the desired skill. They suggest adding motor input to visual input as well to help the process along. Unfortunately, they tend to focus on school aged children in their intervention strategies, but there is enough information in the book to get ideas on how to adapt it for the 0-5 population. 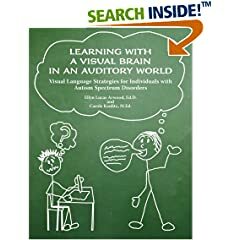 The authors provide strategies & interventions for the "visual brain" in: communication, behavior, social, creating/organizing space & behavior support through language strategies. Although this book is full of rich information and not what I would call an "easy read", it is well worth the time to look it over and get a new perspective on working with the ASD population. On Friday, November 2nd the WATCH Project sponsored a videoconference highlighting recent findings on autism and intervention approaches. The session was led by Linn Wakeford and Grace Baranek, both researchers and OTR/Ls at UNC-CH. In the first section of the session, Linn and Grace related new scientific findings about autism. I think most of us have heard about the rise in prevalence of autism (currently about 1 in 150 children), but I was interested to learn that the lifetime societal cost of the treatment, education and support of a person with autism is $3 - $5 MILLION dollars, and that a child with autism needs 9 times as many resources as a typically developing child. That has amazing implications for the work we do, as well as implications for our communities as we support and include people with autism. The second section of the session included information about assessment tools and materials, and indicators for prognosis. I was excited to learn that FPG is developing a new tool called the First Year Inventory (FYI). This inventory will be given to children at 12 months and will include items which could predict autism and other developmental delays. It is not yet available for clinical use, but it will hopefully give us a way to know as soon as possible and ensure that early intervention services are in place as soon as possible. The last section was on intervention programs for children with autism. Even after years in the field, I was appreciative of the overview of the comprehensive models (like TEACCH and DIR) as well as focused skill-development models - and the distinction between the two. I think the presentation of the information in that way helped me organize what I know about treatment of autism, and I can be more supportive and informative with the families I support as they wind their way through that maze with their very young children. In fact, I have a girlfriend with a two-year-old son with autism, and I was able to help her answer some questions she had about different treatments she's heard of because of the way Linn and Grace shared that information. This is one of the first videoconferences that I have attended since the WATCH program started. As a manager, it's hard for me to always find time to go to training, and this was a very easy way to stay up to date and get my much needed credit. I was also very pleased with the expertise of the presenters and how easy it is to participate in a videoconference. I have since attended an additional training and am really coming to like this method of continuing education. If you have not yet attended one of the videoconference sessions, I encourage you to try them! We are very fortunate to have access to so many talented professionals in our area and to be able to learn from them in such an intimate setting. Thanks to Linn and Grace for sharing their time and expertise that day - I think we should invite them back for follow up sessions to get additional information and details on all they covered that day! On Friday, November 16th, the WATCH Project hosted a videoconference discussion on Theratogs, therapeutic system that can be used for muscle stimulation and positioning assistance for children with special needs. The session included 16 therapists from the Raleigh and Wilmington area. Click here for a recap of what was discussed during this session. The Music Therapy videoconference session from 12/07 is also available to view via webcast. Cut and paste this URL http://andrews.med.unc.edu/tbil/tel01.mov into your web browser to view this session. We hope to be able to offer more session via webcast in the future. Stay tuned to the WATCH list serv for more information. The next WATCH newsletter will come out in February 2008. Don't hesitate to send us your topic ideas or contributions! In the meantime, Happy Holidays and Happy New Year to you all!